It has been a highly active election season for members of the Macalester Democrats as they prepare for the midterm elections. On November 4, 36 states including Minnesota will elect their governors, with the vast majority of Minnesota’s other important offices also on the ballot. In preparation for this, the Mac Dems have been extensively involved in outreach efforts both on the Macalester campus and with the Democratic-Farmer-Labor (DFL) Party. Previously this semester, the club, which regularly draws 20 members to its weekly meeting, focused primarily on informing students of the different opportunities available for voting in this election. This includes both the chance to vote either in Minnesota or in a student’s home state. 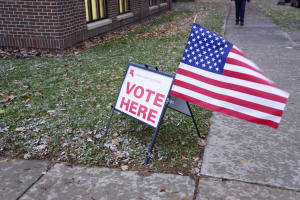 As a component of this, MacDems encourages students from states that are already highly likely to vote Democrat to consider voting in Minnesota, where elections might be more contested. “[We’ve been] reaching out to students, making sure that they know that they can be registered here, and if you’re from Washington, [which is] probably going to go Democrat, and races here are much closer, they should probably register here,” said MacDems co-chair Ashley Dunn ’17. 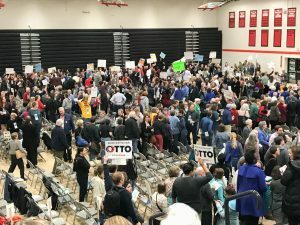 This election will be of particular importance for Minnesota Democrats, with Governor Mark Dayton and Senator Al Franken, both Democrats, seeking re-election. When last seeking election in 2008, Franken defeated Republican Senator Norm Coleman by a margin of 312 votes statewide. Dayton similarly won Minnesota’s 2010 gubernatorial election by only 9,000 votes over his opponent. 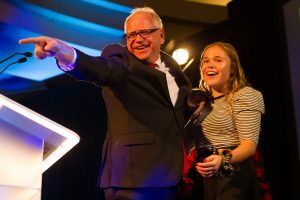 “Senator Al Franken and Governor Mark Dayton both won in really, really close elections last time around, so it’s really important for students to go out and show their support for candidates who have done things like try to [help refinance] student loans, who have been pushing for things like marriage equality, and for like issues that students really care about,” Dunn said. “It’s just important for young people to get out and vote in general … we had a pretty low voter turnout in the last midterm election. And so it’s very important for us to get out there and make our voices heard. Especially on a campus like this where a lot of [students] … have all these issues we care about and want to change,” said MacDems co-chair Connor Valenti ’17. Mac Dems members have also taken part in a number of initiatives off-campus, including frequent door-knocking events and a recent Get Out The Vote rally with former President Bill Clinton. Over the course of the remaining weeks until the election, the club will keep themselves busy. In addition to weekly meetings, Mac Dems plans on hosting weekly phone banking sessions, regular door-knocking campaigns, and an upcoming visit by State Representative candidate Dave Pinto. Pinto is running to represent the Macalester-Groveland area and is running against Macalester graduate Daniel Surman ’14. This all leads up to the general election on November 4, when MacDems members will “…be hunting you down and making sure you get to the polls, if you haven’t already,” Valenti said.